"The whole world is nothing more than a great temple of God filled with images, self-portraits of God." Pierre Viret,* 1564, Instruction Chrestienne, p. 423. For since the creation of the world His invisible attributes, His eternal power and divine nature, have been clearly seen, being understood through what has been made, so that they are without excuse (Romans 1:20 NASB). 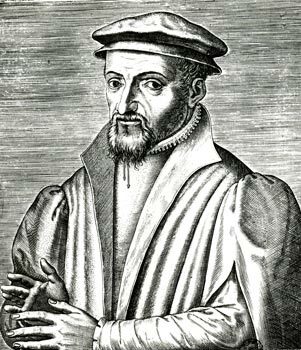 * Pierre Viret was a key Reformer in the Sixteenth Century and close friend of John Calvin.